I remind myself that I feel like this every year at the end of term. I used to feel like this in university, heck – even in high school, and I feel it now at the end of my 26th year of teaching. I think of similar situations – and remind myself that I got through them and I tell myself that as overwhelming as it may be, this is a short-term feeling and that it will not last forever. I work to think about the next thing I have to accomplish… One next thing – rather than thinking about all of it. I do that one thing and then move on to the next. This helps me maintain focus, which is especially important for me because I am not a particularly effective multitasker. To make this work I need a plan – and for me that plan is a series of lists and sub-lists in my day planner… and a liberal sprinkling of post-it notes. I can see the scope of what needs to be accomplished and then I can work to organize my time and fit tasks to the amount of time and the logical ordering of the tasks in a temporal way – and also in terms of importance. There is an ordering in terms of some tasks needing to take place prior to others – some of this is just plain logic – and some requirements are related to other outside timelines and pressures. I think of my lists with another conceptual layer as well. After years of practice – this is somewhat internalized: I have a must do – should do – and could do ranking to my tasks. I remind myself that it is unhealthy to be shoulding on myself – as I work to be realistic, and positively frame my limitations. I flip thought previous weeks in my planner – and if there is a task which has been carried over and then finally accomplished – I make a little smiley face in the box. This tells me it wasn’t done that week – but it was eventually accomplished. I also sometimes find a task that has not been completed, and that in the midst of busy, somehow fell off the side of my desk. If it is still relevant, I add that task to this week’s plan. It takes a little time to do this – but I gain way more time and calm and focus – and relief from feeling overwhelmed in doing so. As I work to tackle the next thing – instead of thinking of all I need to do… the payback for me is enormous. 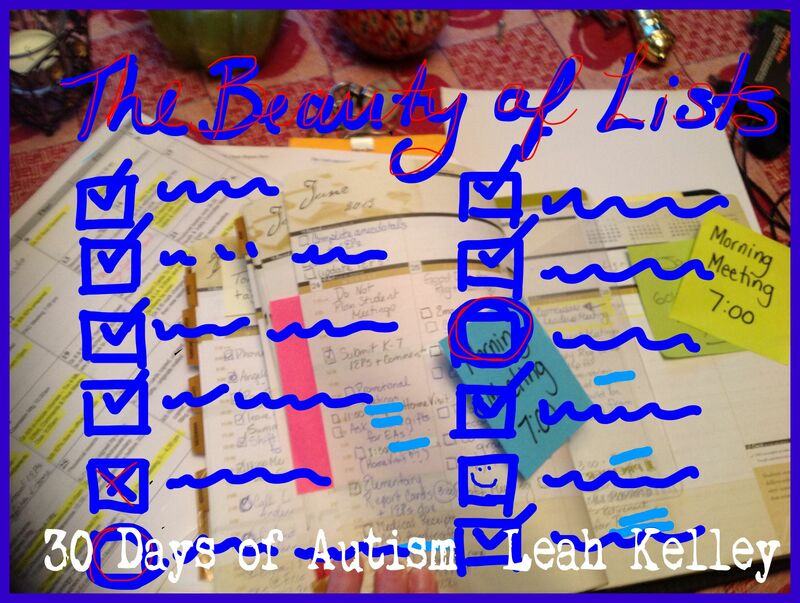 This entry was posted in Autism, limits, Resiliency, work and tagged checking off the list, focus, lists, organize, post-it notes, resiliency, setting priorities, strategies, tasks, time. Bookmark the permalink. Do you find that a long list causes paralysis? We are trying to use lists to help my husband and son, but at a certain point, the list becomes so long that it is overwhelmings. So when confronted by an unachievable list they feel more stress rather than less. Yes, Ari! Completely YES to that! I can feel immobilized and ready to give up. 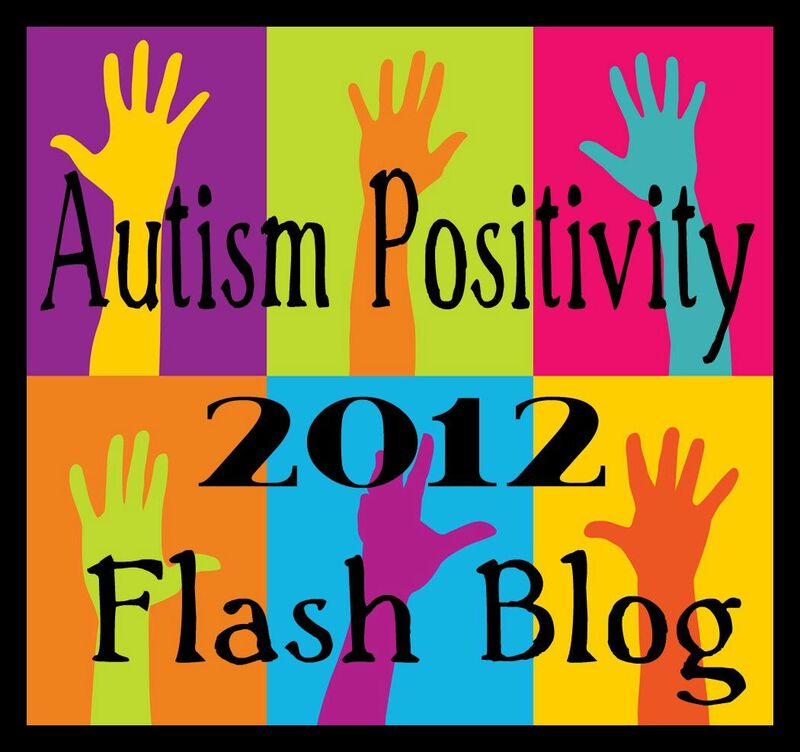 Reblogged this on Sportynikstars Tips. Hi, Leah! I love your post. I am somewhat challenged with staying organized, since I have so much going on in my life. I currently use todoist.com (free) to manage all my lists. Love your perspective! I know what you mean sometimes I think of all the things i have to do and I get overwhelmed. Thanks for the tips I will use them all.